Lewis Center Music Academy provides private violin lessons in Lewis Center, OH. Over 30 5 Star Reviews! Degreed Teachers who make music fun. Ages 5+. 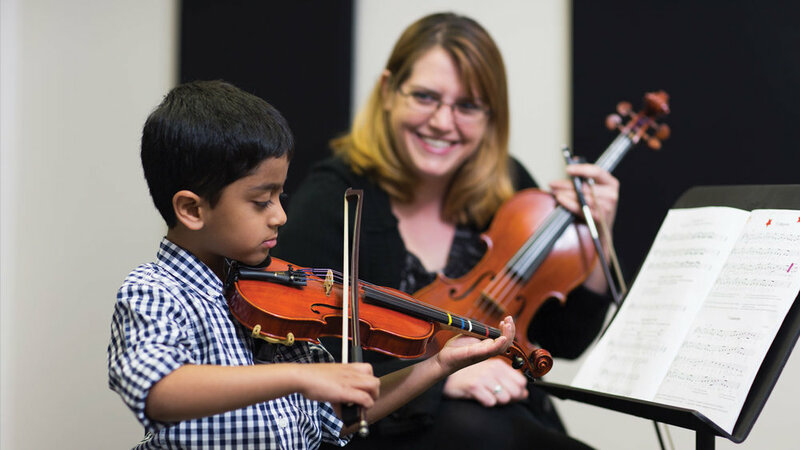 Our Lewis Center location offers private lessons on Violin and Viola starting at age 5 and up. We have students of all ages from children to adults. Our violin and viola teachers have college degrees in music and many perform regularly with local orchestras or bands. Our private violin lessons are one-on-one instruction and lesson lengths are 30 minutes, 45 minutes or 1 hour each week. Our comprehensive violin lessons include learning: proper technique, ear training, theory, sight reading, classical repertoire in addition to students selecting music of their choice. WHY CHOOSE US FOR Violin or viola LESSONS? Violin lessons are first come, first serve so contact us today to arrange your first lesson!